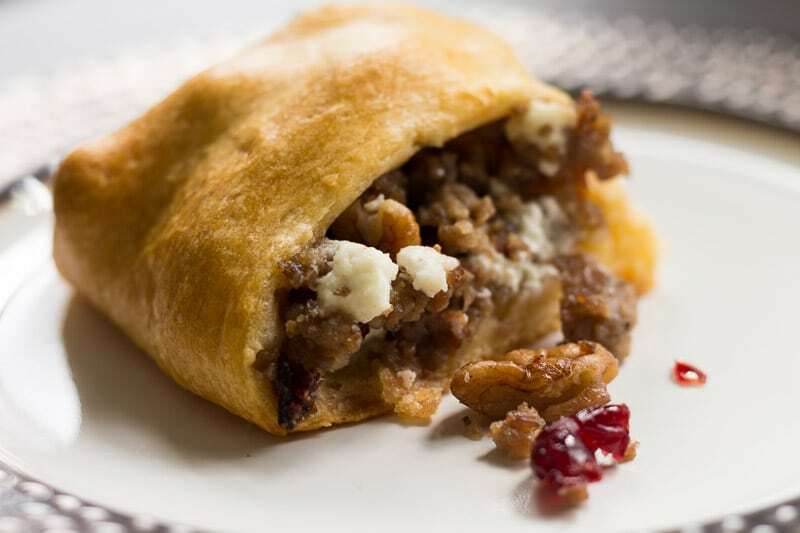 Crescent roll ring stuffed with crumbled pork sausage, cranberries, pecans, and goat cheese. A perfect appetizer or party platter! I’ve always been fascinated by crescent roll rings. You can fill them with so many different combinations of ingredients. I’ve experimented over the years with all kinds of fillings. Since they’re so flexible, it’s a great way to make an appetizer for the holidays. Mine are always stuffed with something savory, something a little sweet, and a bit of cheese. 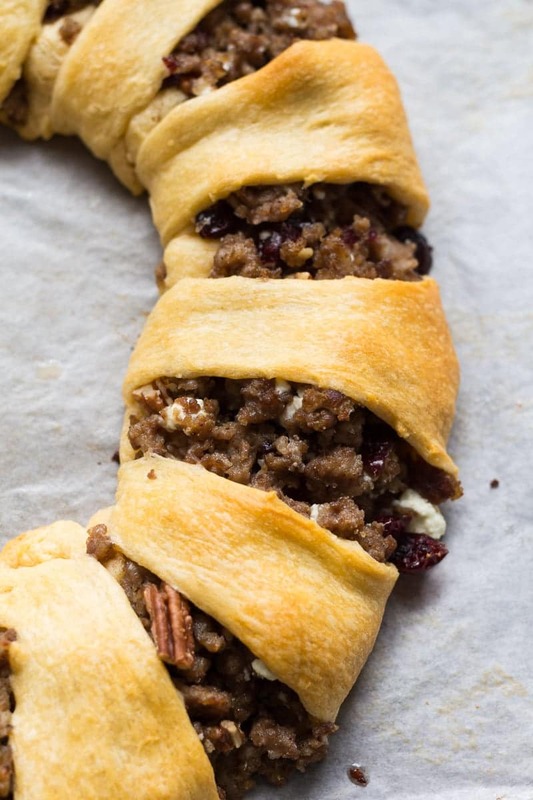 For this sausage cranberry pecan crescent roll ring, I’m combining Jimmy Dean sausage, dried cranberries, goat cheese crumble, and a few pecans for crunch. It’s quick to assemble and bake. I like to cook all the Jimmy Dean sausage ahead of time so that I can use it in all of my holiday recipes. 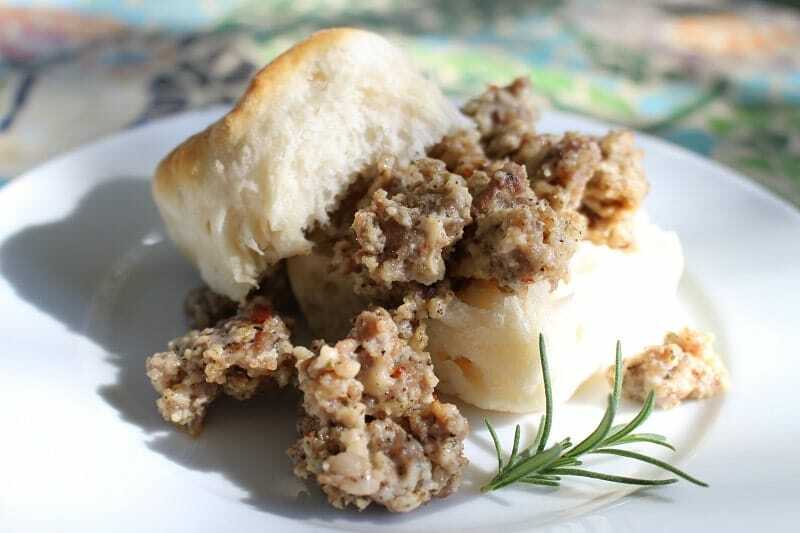 In addition to making a sausage cranberry pecan crescent roll ring, I use it to make a tasty sausage gravy for breakfast (see bonus recipe below). You can pick up Jimmy Dean sausage in a 2 lb package at Sam’s Club while you stock up on all of your holiday supplies. Line your baking pan with parchment paper to prevent sticking and make it easy to clean up. Don’t have chopped pecans? Try chopped walnuts instead. If you can’t find crumbled goat cheese, you can use regular goat cheese. 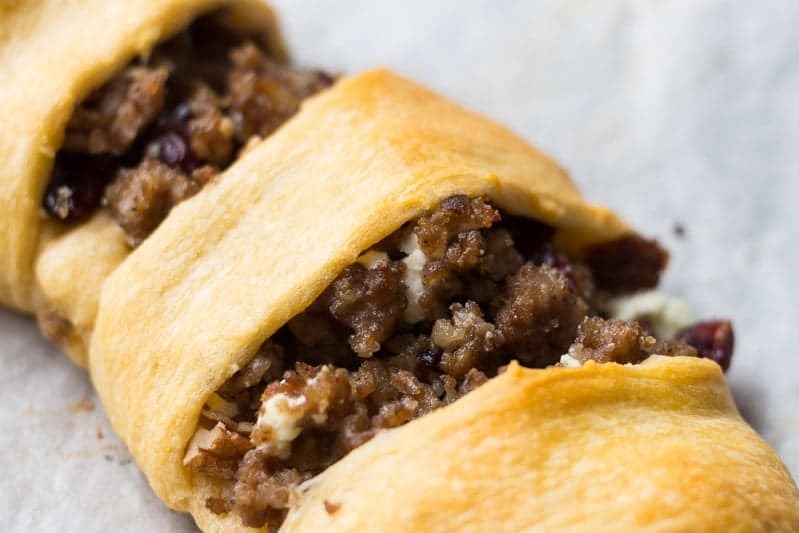 It’s a little trickier to work with, but you can simply drop small chunks of cheese into the filling just as you would sprinkle on the crumbles. Make the sausage ahead of time to save time on prep. If you have cooked sausage ready to go, all you have to do is lay out the crescent roll dough, fill, fold, and bake. Let cool slightly before serving. As an appetizer, it’s got to be cool enough to pick up with bare fingers. Use a sturdy chef’s knife or pizza cutter to slice the crescent roll ring into wedges. Also try these Mozzarella and Pesto Stuffed Crescent Rolls! Preheat the oven to 350 F. Line a large baking sheet or pizza pan with parchment paper for easy cleanup. Cook the sausage in a skillet over medium heat until done. Drain in a large bowl lined with paper towels to remove excess liquid. 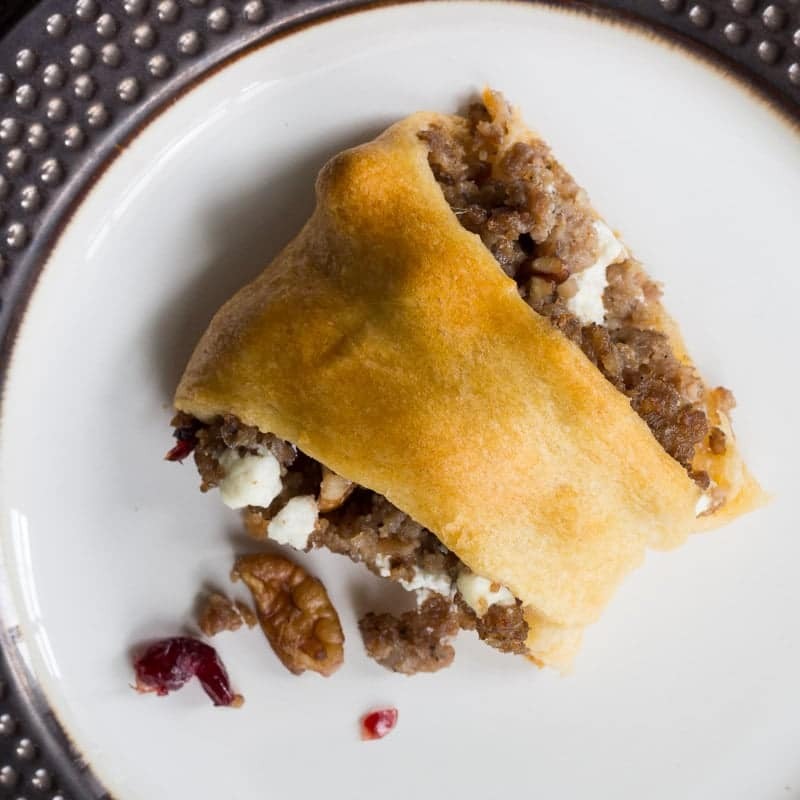 When the sausage has drained, toss the sausage, cranberries, pecans, and goat and cheese together in a bowl to make the filling. Unroll the crescent roll dough, taking care not to stretch it. Separate into triangles and arrange in a sunburst shape, with the short ends of the triangles overlapping in the center. Spoon the filling onto the overlapping part of the ring. Bring the outer edges of the ring over the filling and tuck the ends underneath. Remove any filling that spilled on the baking sheet. Bake for 15 to 20 minutes or until light golden brown. Let cool slightly before serving. 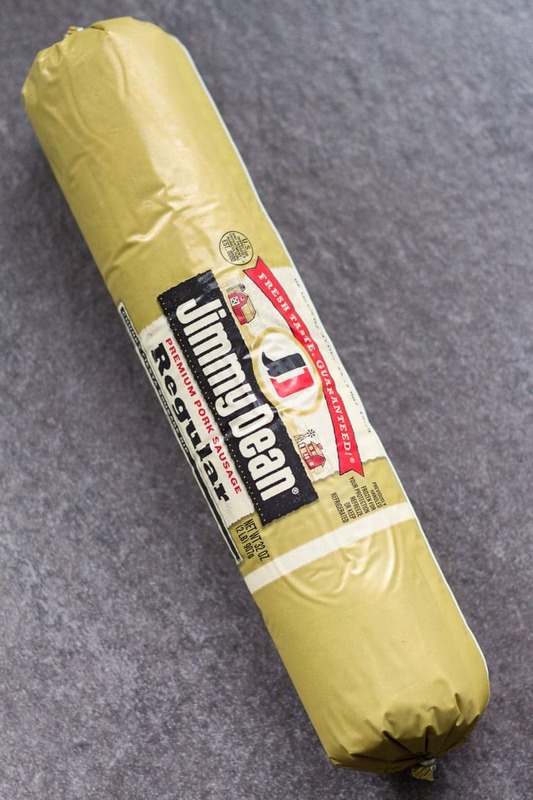 Here’s a great idea for what to do with 1 pound of the 2 pounds of Jimmy Dean sausage! Buying in bulk saves time and money as you knock out several meals with one main ingredient. Cook 1 lb Jimmy Dean pork sausage in a skillet on medium heat, breaking it into crumbles as you go. Leave a tablespoon of sausage grease in the pan after removing the sausage. Add 3 tablespoons of butter and melt over medium heat. Sprinkle 1/4 cup of all purpose flour into the pan, letting it bubble and stirring occasionally for several minutes until tan colored (this is a roux). Add 1/4 cup of milk, whisking into the roux. It will seize up and become a thick paste. Continue to add a little milk at a time, whisking until smooth, until the gravy reaches the desired consistency (you’ll end up adding somewhere between 1 1/2 and 2 cups of milk by the end). Add pepper and 1 tablespoon of rubbed sage. Stir in the cooked sausage. Serve warm over biscuits. 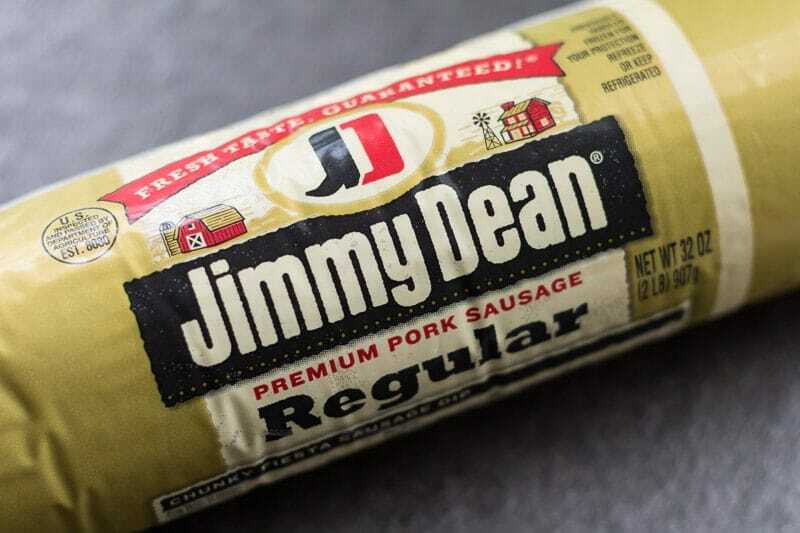 Look for Jimmy Dean sausage in a 2 lb package at Sam’s Club! Crescent roll rings are always so pretty, especially during the holidays. They look like a pretty wreath that you can eat. 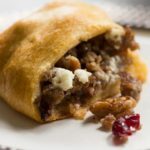 I know my family would love this one with the sausage and cranberries. What a delicious appetizer idea. I need to bring something with me to my parents on Christmas eve and I think this would be a big hit! I love making crescent roll rings during the holidays. there are so many things you can do! So many tasty ideas! You can’t go wrong with a crescent roll appetizer. 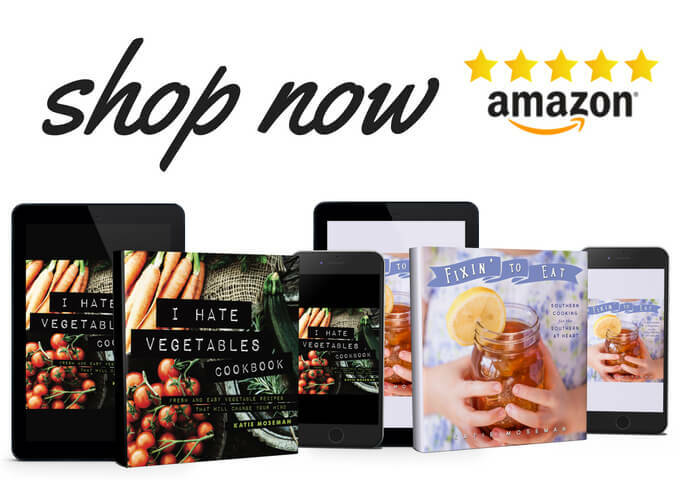 There are so many festive and delicious recipes using them! This looks super yummy! I never would have thought to add pecans with sausage, but doesn’t hurt to try it! 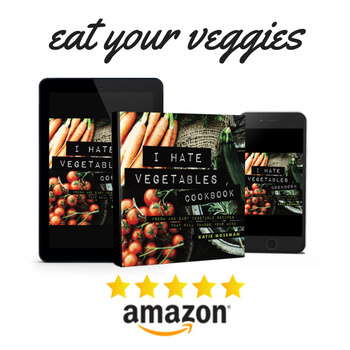 I will definitely be adding this to my recipe box! This is brilliant! I wouldn’t have thought to add dried cranberries to something like this. I LOVE dried cranberries. This crescent roll looks and sounds absolutely delicious. I love what you used as the stuffing. This would be perfect for Christmas. This recipe sounds so amazing. This would make a fantastic addition to our breakfast/brunch on Christmas day! I really like serving crescent roll rings for holiday parties. The sausage and cranberry combo makes this one especially festive. OH yum, this sounds like the perfect holiday appetizer! I love cranberries so I bet I would love this. Oh yum! This is the perfect recipe to make when entertaining. I can’t wait to give this a try this weekend. My husband just loves sausage. He would devour this! It looks perfect as an appetizer before the holiday dinner. What a great recipe. I will have to make this for my family for Christmas. 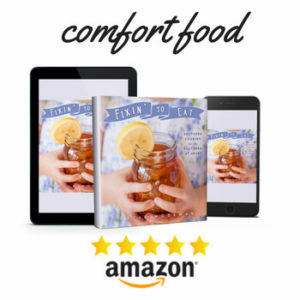 This is a great snack for the holiday, thank you very much for sharing the recipe. I might as well try making it today.